A kaleidoscope of colour ranging from warm to cool tones hues. The deep pinks, bright orange and sunshine yellow are combined with skilful shading creating a dynamic design that will brighten up your home. 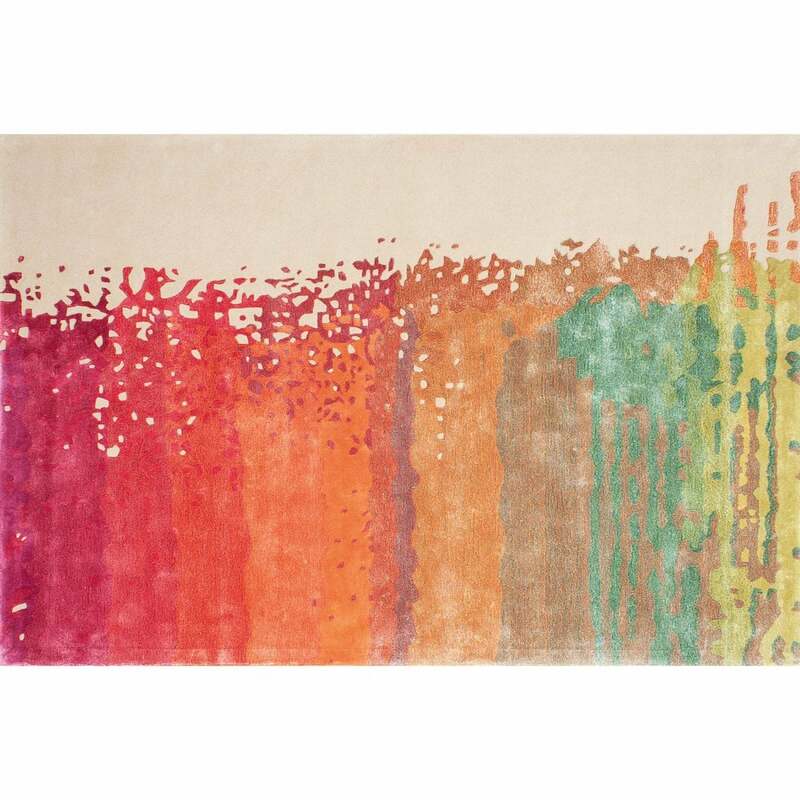 The Cosmic Rug is hand-tufted by skilled artisans from the finest New Zealand and viscose blend. Soft to the touch, the iridescent threads blend seamlessly to form a unique pattern. A must-have accessory for any design lover, Cosmic will add a pop of colour to a chic and minimal interior. Bespoke sizes are available on request. Make an enquiry for more information.